Kulas Maids Inc. is committed to making homes sparkle since 1983! We do everything we can to assure you that your home will be cleaned within a reasonable amount of time at a reasonable price. Providing a cleaning service in Northbrook, IL 60062, allows our busy and on the go customers to relax once they come home from work and daily activities. Northbrook, Illinois is at the heart of where we serve our customers. 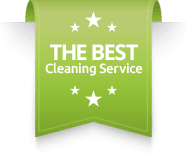 You should know what to expect when you are looking for a house cleaning service in Northbrook and that is why we want to stress that customer care is our primary goal. Kulas Maids has always been green, but now we’ve gone greener. To make your environment healthier for you, your family and your pets, we added to our line of cleaning products the eco-friendly Earth Sense Green Cleaning Solutions. As a result, we know you will enjoy fresher, greener surroundings to live, to work, and to play. At Kulas Maids, maintaining a healthy living environment is just as important to us as it is to you and your family. Each of our professional maids goes through our extensive training program, which guarantees that they are totally prepared to clean and refresh every detail of your home beyond your expectations. Our maid service is unique in the way that we send out 4 professionally trained maids to your home who can finish the same job at a quicker pace. For more information, check out our short video on our home page!